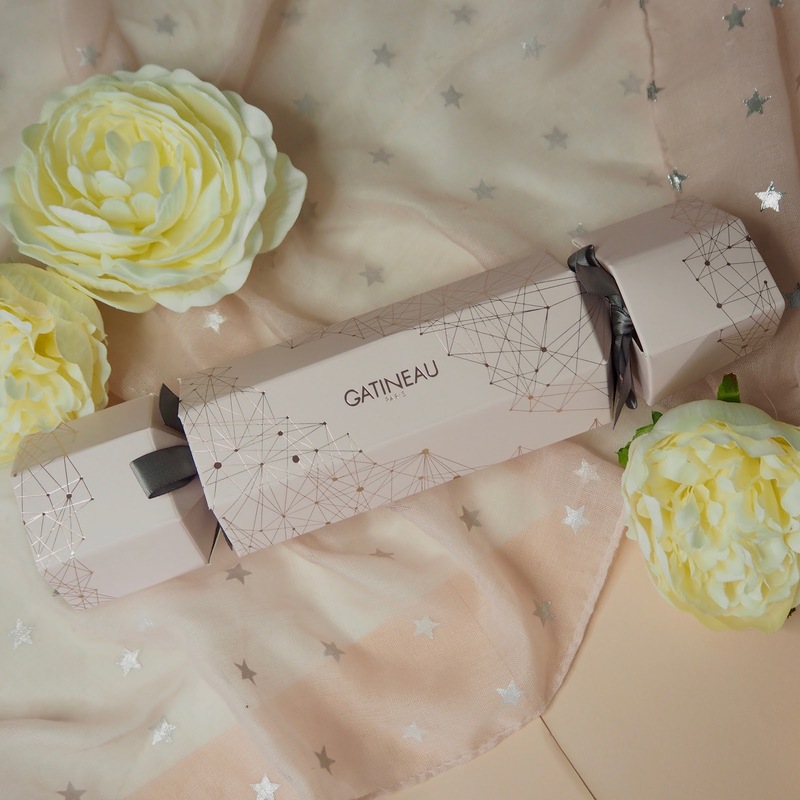 Firstly I want to show you the really pretty Gatineau Christmas cracker gift which contains the DefiLift 3D Perfect Design Revolumising Lip Care in 10ml and the Collagene Expert Targeted Wrinkle Corrector also in 10ml. I know my Mum uses the Defilift Lip Care as she's concerned about lines around the lips and losing volume. It contains Hyaluronic Acid for plumping and also contains lavender and shea butter to nourish and repair the lips. The targeted wrinkle corrector has a roller ball applicator which allows you to massage the product directly onto any wrinkles, delivering collagen and vitamins C, E and F straight to the area of concern. It says you'll see a more youthful appearance in an instant! I don't think my Mum has tried this one, and as much as I'm tempted to see my wrinkles improve in an instant, this cracker is going to be waiting for her under the tree on Christmas day. The cracker is £32 but contains £75 worth of product, so you're saving more than half and getting the beautiful cracker presentation too. This makes such a nice Christmas gift and looks like so much more just because of how it comes packaged. Lots of beauty brands bring out crackers now and they're just so perfect for giving to someone who you only usually buy one smaller gift for. It doesn't even need to be wrapped! 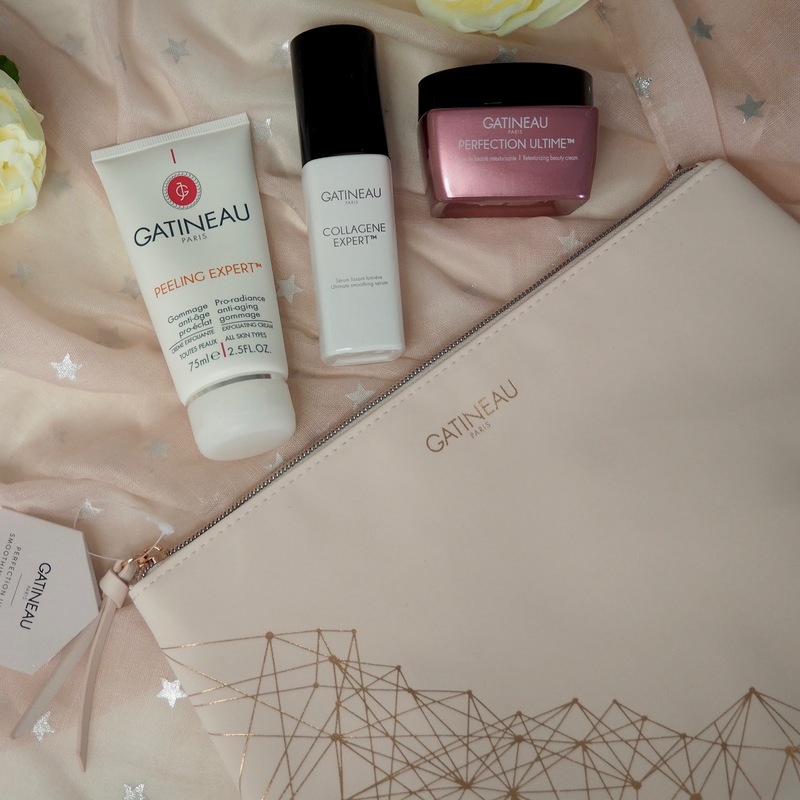 Gatineau have also brought out some larger and more indulgent skincare gift sets containing full sizes of some of their most popular products, and big savings on buying everything individually. 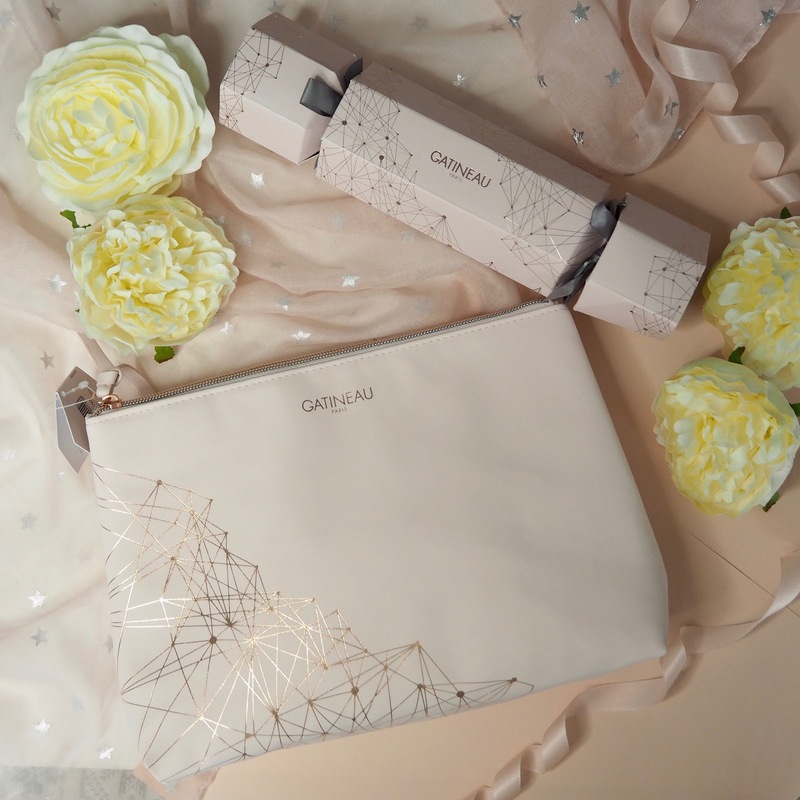 Each set comes with a really lovely makeup / wash bag, all in this eye-catching geometric rose gold print in either grey or baby pink. 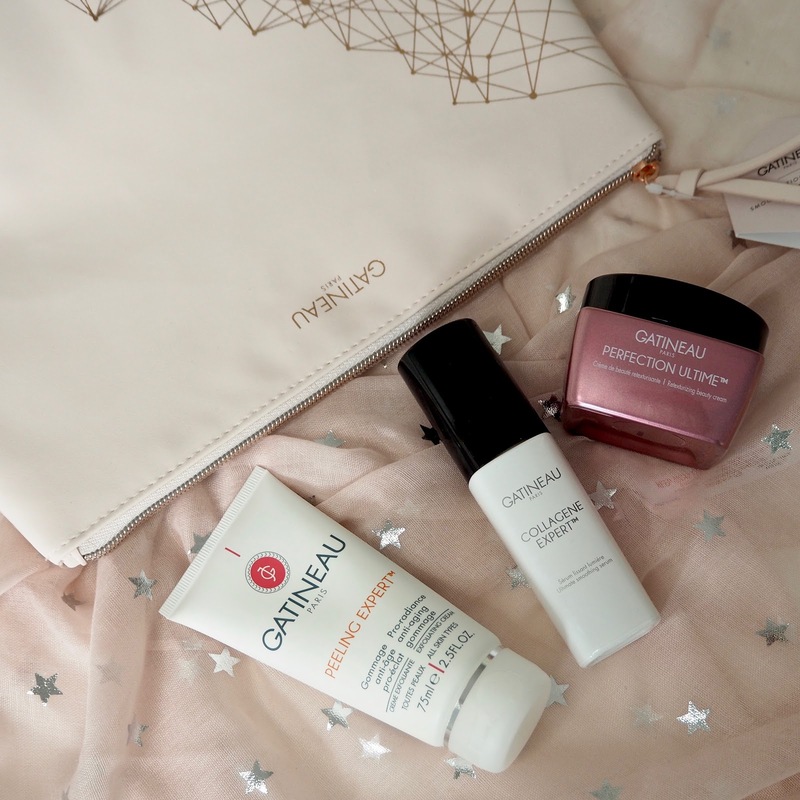 I really, really like the grey makeup bags, but the Smoothing product range is the one that probably best suits my skin, so it was a tough decision! The Gatineau Perfection Ultime Smoothing collection contains the Perfection Ultime Retexturizing Beauty Cream in 50ml, the Collagene Expert Ultimate Smoothing Serum in 30ml and the Peeling Expert Pro-radiance Anti-aging Gommage in 75ml. The Peeling Expert is the product which really called to me in this set - I've seen mention of it before and it's something I've really been wanting to try. It's a peel off exfoliating mask that gets rid of dead skin to leave your face looking brighter and more radiant - yes please! I'm also excited to try the peptide packed moisturiser and the smoothing serum which contains lots of collagen and promises to plump up the skin. 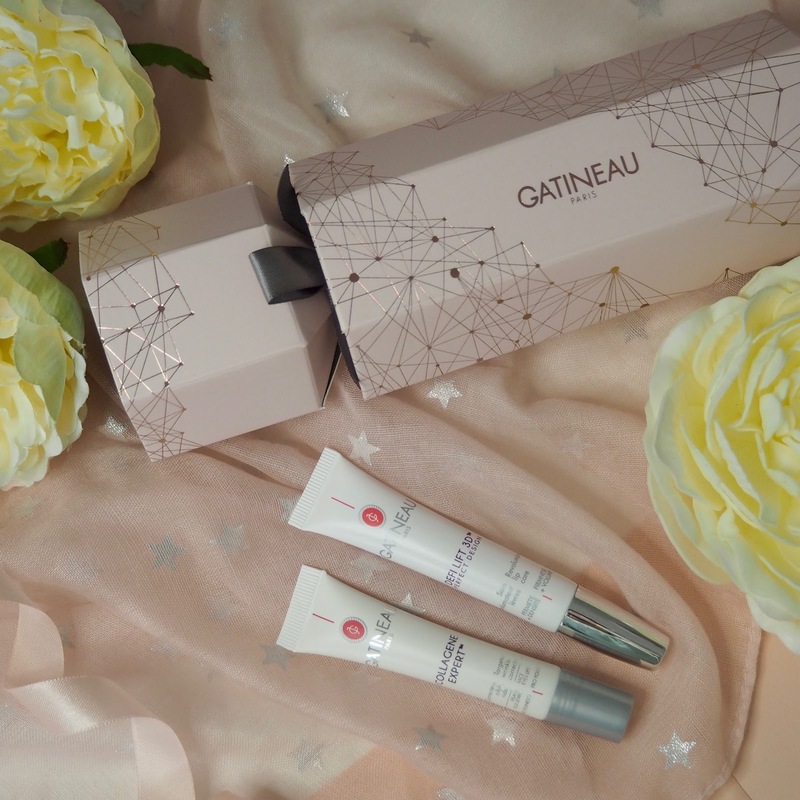 It's a beautiful gift whether you're a huge Gatineau fan or just getting into the brand and there are lots of other gift sets available for other skin types and concerns too. 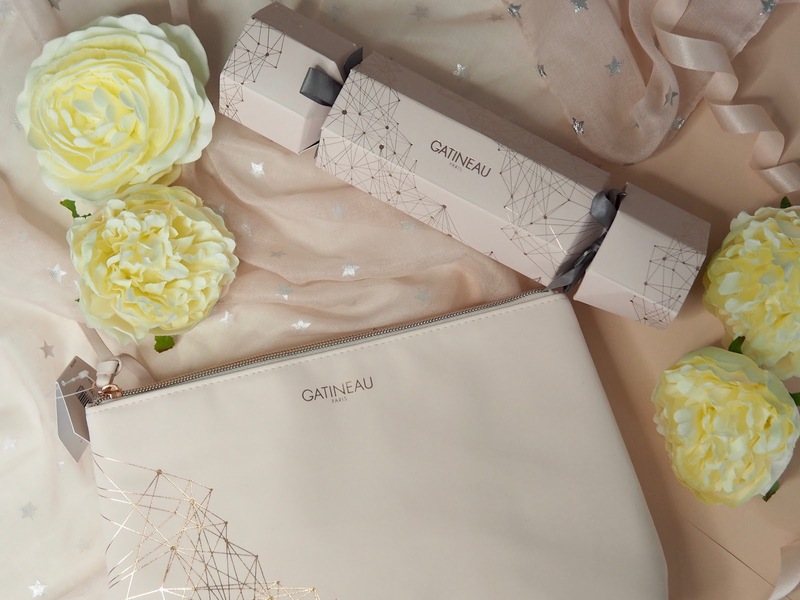 The Gatineau Little Luxuries set is a great option if you want to try a wider range of products before opting for full sizes - plus it comes in the gorgeous grey and rose gold bag! 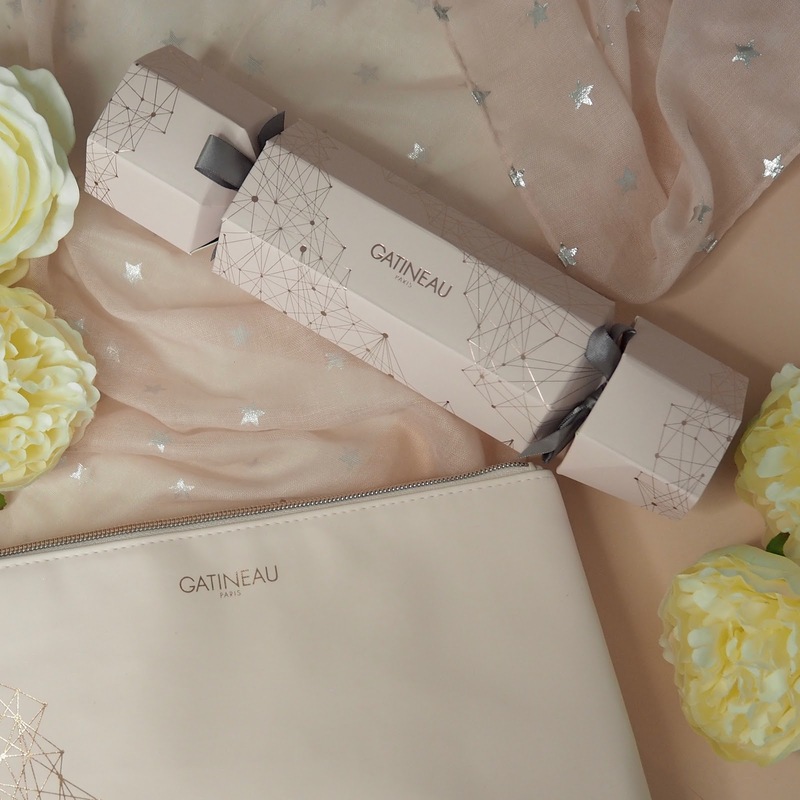 Check out the full Gatineau Christmas Gift range at gatineau.co.uk and also some of the sets are available at all beauty and feelunique.